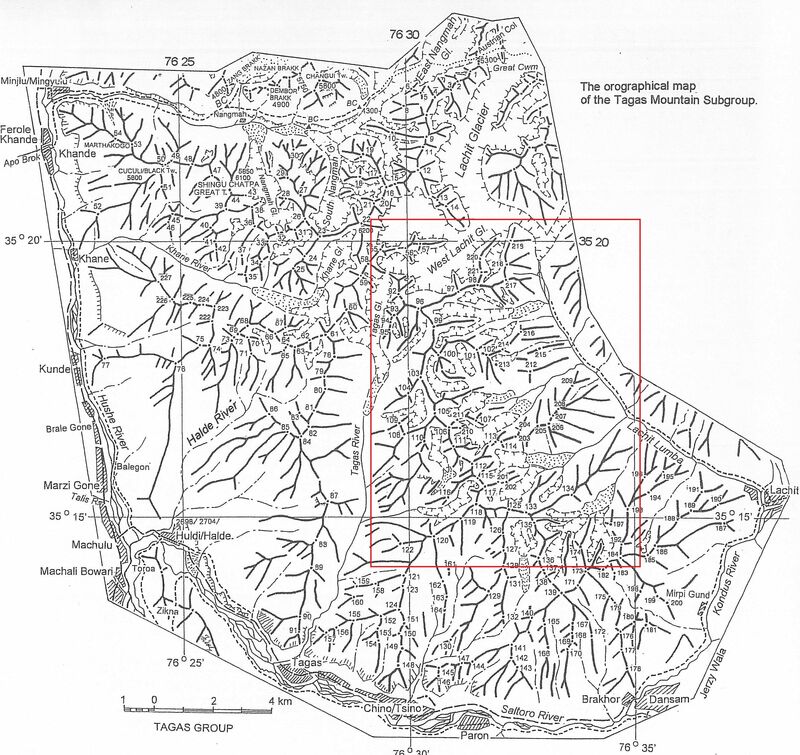 Lachit valley lies on Pakistan-India border, and this part of Karakorum has remained closed for climbing. Pakistan army opened this region for climbing for the first time and Polish team has become the first team to receive permit to climb in Lachit valley. There is a group of peaks in the valley called Tagas peaks, approximate altitude of peaks is around 6000 meters. 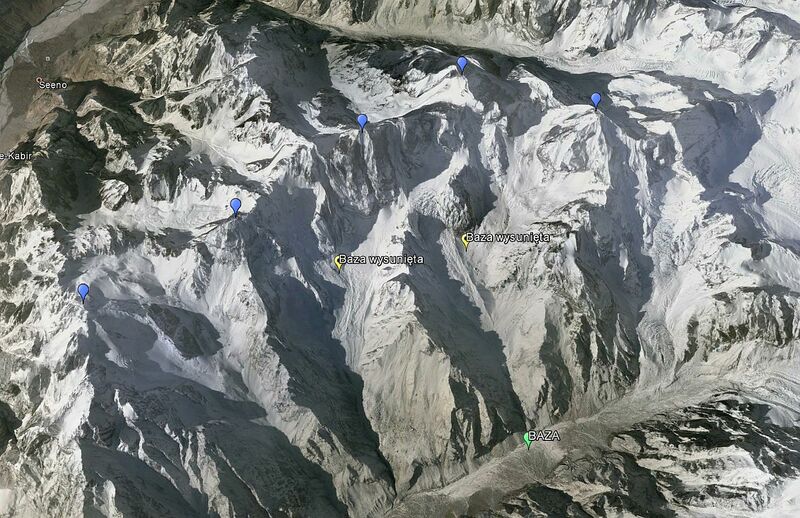 Polish climbers are seeking to climb 4 to 5 6000 meters peaks in Lachit valley. They reached base camp around 3900 meters on Aug 24, and they climbed a 4991m virgin peak in the valley for acclimatization on Aug 27. 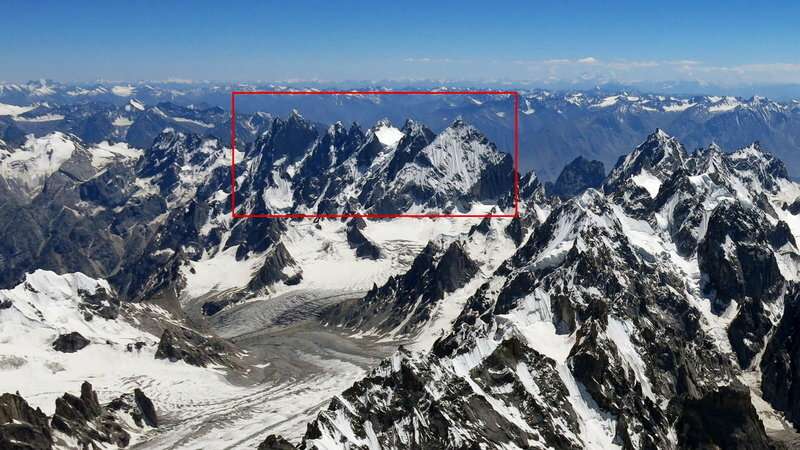 Tagas Peaks in Lachit Valley, Karakorum range, Pakistan. Team consists of four Polish climbers: Tomek Klimczak (one of the few poles who has completed three major north faces in alps and did within one year), Maciej Janczar (has climbed Eiger North Face in winter), Maciej Bedrejczuk (has free climbed three main North Faces in Alps), Marcin Wernik (one of the few Poles who has climbed Fitz Roy in Patagonia). The foot of Lachit valley is at few hours jeep drive from Skardu, then it takes few days’ hike to reach the base camp of Tagas Peaks.